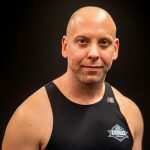 Dan Novak is currently serving as EMA Toronto Owner & Head Instructor, as well as Lead Instructor for the Krav Maga Association of Canada. Dan is a lifelong student of Martial Arts. 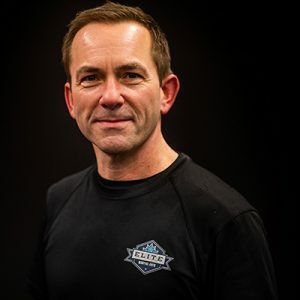 Before founding Elite Martial Arts Toronto, Dan spent 14 years working as a Correctional Officer for the Province of Ontario. It was through his experience in this profession that Dan realized for a method of self-defense to be effective in the real world, an individual must train for real world situations. His search for a realistic form of self defense led him to Krav Maga. Dan is a 1st Degree Black Belt & an Expert Level 6 Krav Maga Instructor under Edward Wood of The Krav Maga Association of Canada. Dan is also actively involved in Muay Thai training and competition. He is a currently competes out of SiamNo1 Muay Thai and holds the Muay Thai rank of Blue Shorts. He has successfully competed in both local and international shows. In addition, Dan has earned the highly regarded Muay Thai Instructor rank Kru under Ajahn Suchart of Siam.No1 Muay Thai. Above and beyond any training and certifications that one can achieve from a Martial Arts school, Dan has an abundance of real world experience that he incorporates into his Krav Maga lessons. It would be a challenge to find an instructor who has more real world knowledge and experience than Dan. Many Instructors promote that they have trained those who work in the field of Law Enforcement, Military and Security. Dan has actually lived it. This is what separates himself from others in his field. He teaches based on real experiences, NOT theory. It is because of his real world experience, that he takes his teaching of others so personally. To this day, Dan remains involved in the Law Enforcement community, training various Special Operations teams and Officers from a variety of municipalities. Every Krav Maga technique that Dan teaches has been real world tested and effective when put to use. Dan sincerely cares about the students he teaches and is willing to do all in his power to help them succeed and reach their individual training goals. Fulfilling the EMA Toronto Senior Lead Instructor is EMA’s own Matthew Bennett. Matt is currently holds the rank of Krav Maga Black Belt, earning this prestigious ranking in 2016 from EMA Owner and Head Instructor, Dan Novak. 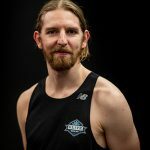 In addition, Matt is a certified Level 4 Krav Maga instructor with the Krav Maga Association of Canada and a Muay Thai Blue Shorts. 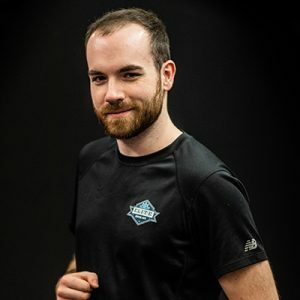 Matt brings with him not only years of Martial Arts and boxing experience but he has also established himself in a very successful actor in feature film and production. The combination of Matt’s life experiences, both professionally and in Martial Arts comes through in every class that Matt offers. He is well spoken and has the unique ability to understand the needs of each of his students and maximizes each student’s potential for success. It is because of Matt that many of our students training during day time hours are enjoying excellent progression though our Krav Maga program. Matt has recently specialized his training in Weapons Defense techniques. Such techniques have played a vital role in Matt’s film career in various action roles he has obtained in both Movies and Television. His active interest in this area of Krav Maga training has developed him into one of the school’s most proficient weapons defense instructors. Matt his highly respected among EMA students and staff. Elite is extremely fortunate to have the services of Matt offered at our school. 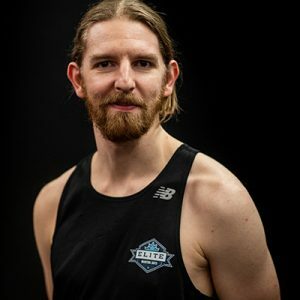 EMA Toronto is very proud to announce Blaine Stand to our staff as a Lead Instructor in the Krav Maga program and PC Kru in the Muay Thai program. Blaine has worked his way to this highly respected position at our school through hard work and dedication to his training. Through a work ethic that comes second to none, he has been able to be a true motivation to our students and an excellent asset to their training. Blaine exhibits an excellent understanding of all techniques taught in the KMC Curriculum and is able to help our students proficiently learn through his teachings. He currently holds the rank of Krav Maga Black Under EMA Founder and Head Instructor Dan Novak. 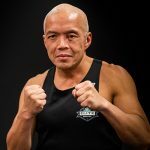 He is also a certified Instructor with the Krav Maga Association of Canada and is a Muay Thai Blue Short & PC Kru under Ajahn Suchart. Blaine looks to continue the development of his training through a specialization in Krav Maga ground fighting and Muay Thai sparring/competition. Our school is in a very fortunate position to have Blaine as one of our Lead Instructor. With great experience, comes great knowledge and nothing could be more true as it applies EMA Lead Instructor Fredrick Johnston! Fredrick has proven himself to an excellent Krav Maga practitioner, earning his Black Belt with the graduating class of 2018. 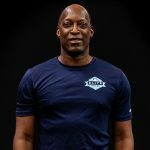 Fredrick currently holds the rank of Krav Maga Black Belt under EMA Founder Dan Novak and is an L3 Krav Maga Instructor under Dan Novak and Ed Wood of the Krav Maga Association of Canada. In addition to his Krav Maga credentials, Fredrick is also a Muay Thai Blue Shorts, which he earned in 2016. Fredrick takes his years of Martial Arts experience, as well as a patient and helpful approach in all of his classes. His lessons as well constructed, easy to follow and each of his classes provides our students a great learning environment to bring out the best in each of our students. EMA is very fortunate to have him on our team and we look forward to seeing where he takes his teaching career. Another great addition to the EMA Team is Josh Aussem. Josh has dedicated himself in years of Krav Maga training, earning himself a Black belt in 2018 under EMA Founder Dan Novak. In addition to becoming a Black Belt, Josh has worked his way through the Krav Maga Canada Instructor program, earning himself a Level 3 Certification. During his Black belt test, Josh showed a grit and determination that propelled him among the top of any graduating class in the school’s history. It was a performance that inspired others and lead to his promotion through the teaching ranks. Josh is a geat addition to the team due to his very welcoming approach and his passion for Krav Maga. He currently contributes his skills and knowledge as the program coordinator of our day class program and can be found leading various classes throughout the week. Student enjoy his classes tempo, tone and overall delivery. EMA has no doubt that Josh will continue to be a key asset to our staff as he helps build the next generations of future Black Belts and instructors through our Krav Maga program. Fulfilling a variety of positions at Elite Martial Arts is Suellen Chui. Sue is a certified Level 4 Krav Maga Instructor with the Krav Maga Association of Canada. She is also a Krav Maga Black Belt under EMA Founder and Head Instructor Dan Novak. Most recently Sue has taken the role of Coordinator for the Elite Conditioning program The program is a 30 minute full body workout based on Martial Arts training. Each month Sue develops the monthly fitness regimen for our students to improve their conditioning and overall health. The benefits of this program have resulted in the Elite Conditioning class to be one of the school’s most popular programs. 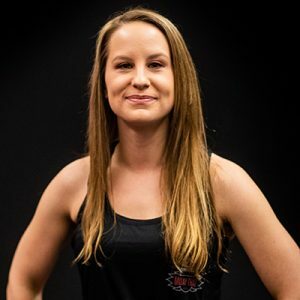 Not only does Sue enjoy her role contributing to the Krav Maga and Elite conditioning classes, she has taken on many of the school’s day to day operations as an administrator. She helps keep the school operating at a high quality standard so that priority focus can remain on the classes offered to our students. Sue has grown into one the key staff members at our school. EMA Toronto finds itself in the VERY fortunate position to officially welcome Kru Matt MacKillop to our school as the Head Instructor of our fight class. The class is structured for advance level Muay Thai students and those who aspire to do competitive Muay Thai fighting. Kru Matt has done an excellent job in helping prepare our students to have successful showings in the ring. 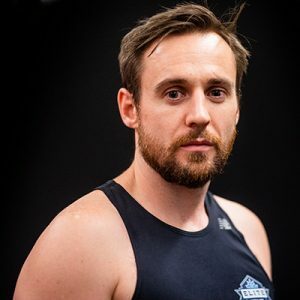 It is through Matt’s extensive Muay Thai experience that he provides each class a wealth of knowledge and skill to provide to our advance level students. In addition to achieving the rank of Kru under legendary Muay Thai Master Ajahn Suchart, some of Matt’s most proudest Muay Thai accomplishments include fighting at both the amateur and professional level, representing Canada at IFMA (2 times and a bronze medal to his name). He has fought in Canada, Malaysia, Thailand and Sweden. Elite is extremely fortunate to have Kru Matt as an integral additional to our Muay Thai program. Kru Harold Mah has been fighting, teaching, judging and referring in the art of Muay Thai and other traditional martial arts for over 10 years. He takes great pride in watching students develop and find the spirit they never knew they had in them. In his past Kru Harold has guided and trained high altitude trekkers throughout Nepal, Asia and summated Mt. Kilimanjaro. He is a three time Ironman and run marathons throughout North America. Elite Martial Arts Toronto is proud to welcome the newest Lead Instructor to our Team, Nadine Donald. Nadine is currently serving as one of our school’s Lead Instructor for the EMA-SiamNo1 Muay Thai program. Nadine comes to our school with a great variety of Martial Arts experience that makes her a true asset to our team. Before finding her way to Mauy Thai, Nadine acquired years of experience, holding the rank of Karate Brown Belt and an established Kickboxing background. When she arrived at SiamNo1 Muay Thai, she truly found her final calling in Martial Arts. She quickly worked her way up the rankings at SiamNo1. She possesses the rank of Muay Thai Blue Shorts and the instructor rank of Poo Choi Kru. Along with her extensive Martial Arts credentials, she impressively won the “Student of the year” award at SiamNo1 in 2015. Her Muay Thai classes are a favorite among EMA students for her up-tempo, effective workouts. In addition to the excellent workouts, she possess the ability to clearly break down Muay Thai techniques so that skills can be effectively transferred from teacher to student. Students who attend her classes are excelling in our Muay Thai program and are also acquiring transferable skills that are making their Krav Maga techniques more proficient. As Nadine continues to contribute her expertise and abilities to our school, our students will truly be the beneficiaries of the excellent Muay Thai classes she provides! 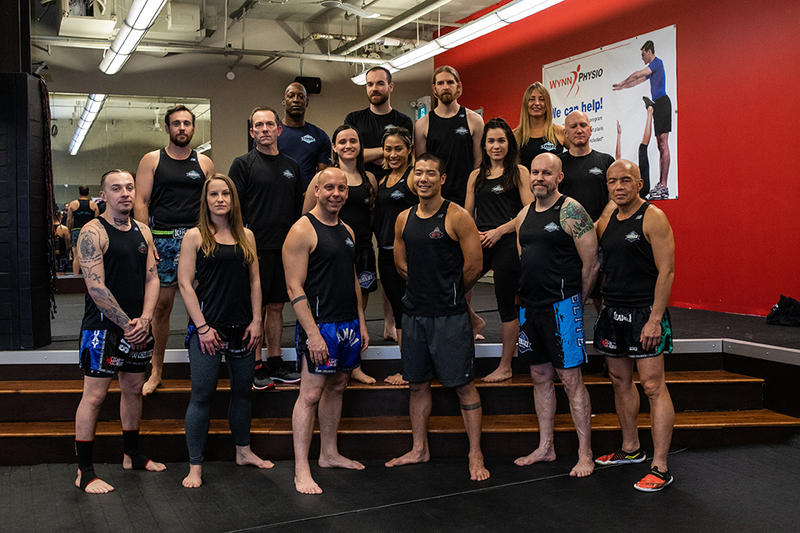 In addition to EMA Toronto’s Lead Instructors, our school has assembled a professional team of highly talented staff that provide ongoing support to our students. Each of our support staff have been professionally selected and developed to provide our students the best possible instruction. All of our team members are required to pass the in-depth Instructor Certification course offered through The Krav Maga Association of Canada. All of Elite’s Lead Instructors hold the rank of Black belt or above. Our instructors have been closely examined & critiqued for both teaching proficiency and physical ability. In order to maintain the highest quality standards possible, instructors are closely monitored throughout their teaching careers. All of our school’s instructors are required to maintain their certifications through continuing education, training & enrollment in the KMC Instructor course under EMA Owner & Head Instructor Dan Novak and KMC Head Instructor Edward Wood.